Us New Zealanders generally like to think of ourselves as a pretty welcoming bunch. And music has played an important part in welcoming visitors round these parts for centuries with the karanga being the first part of the process of being called onto the marae. The Maori phrase for welcome, Haere Mai was the title of a bilingual hit written by Sam Freedman and sung by Maori singer Daphne Walker in the 1950s. The song's now pretty familiar after being used on an TV ad campaign a few years back. 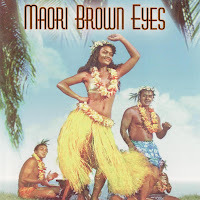 It's anything but a traditional Maori song, with a Hawaiian guitar backing provided by Bill Wolfgramme and His Islanders, and if you check out the cover of the album that included the song, Maori Brown Eyes, you'll see a Hawaiian rather than a Maori scene. Sometimes it's not what you say, but how you say it that convey the strongest message, even when what you say is as simple as "gidday". In the brilliant 'How You Doing?' the Front Lawn (Don McGlashan and Harry Sinclair) use the clumsy greetings and small talk of a chance encounter between two old schoolmates to convey a sense of the disillusion and melancholy of a descent into a suburban work-home-tv-sleep routine. 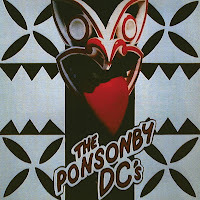 While around the same period in the 1980s The Ponsonby DCs released G'Day Mate, a jaunty little horn driven number that demonstrates just how hollow, or even menacing, a greeting and expression of frienship can be. The song can be found on a self titled album re-released a few years ago. Incidentally the Ponsonby DCs have recently got back together following a 20 year break to record a second album which should be out this year. There are an American interview with Keith Dion from the Ponsonby DCs and a great short film, Workshort from The Front Lawn on the video page. In the late 90s Ben and Greta, formerly the rhythm section of Fying Nun act Superette, recorded a bunch of catchy pop songs for the Arch Hill Records label. Most were never released which is a great shame because on the strength of 'Hello Hello', one of two songs available on Amplifier ,this duo could have achieved big things. On the podcast you'll also hear excerpts from 'Welcome' by International Observer, 'Welcome, Haere Mai' by Dub Asylum and 'Welcome to Our World' from John Grenell (must see video on the video page).